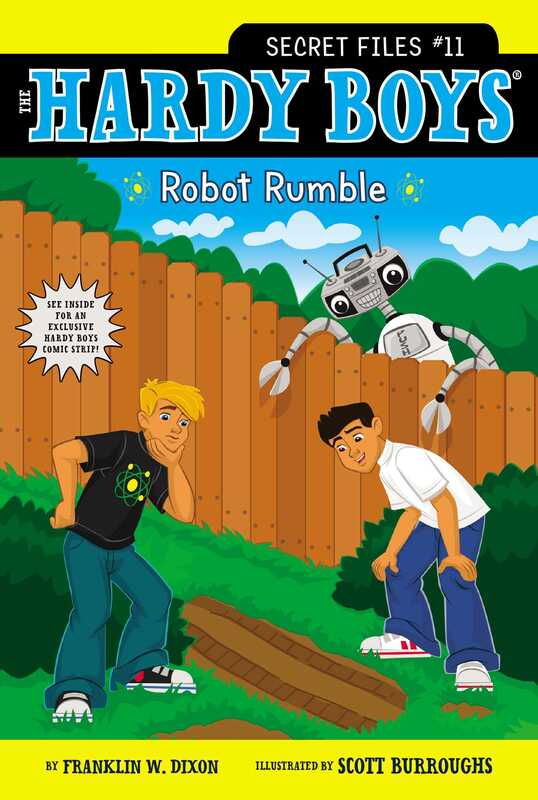 A robot robbery suggests science fair foul play in this Hardy Boys Secret Files mystery. It’s time for the annual Bayport Science Fair, and Frank, Joe, and their friend Phil are determined to have the winning entry. With their spiffy homemade robot, they are convinced they can finally top their classmate, Cissy Zermeno, who has won the past two years. But right before the boys are about to bring Mr. Roboto to the fair, Phil discovers that their prized creation has gone missing! Did town bully (and usual suspect) Adam Ackerman steal him out of jealousy? Or was Cissy worried she would have to settle for second place this year? It’s up to the boys to figure out how Mr. Roboto found his way out of Phil’s garage. Will they get him back in time to compete?